Spring is coming around in the Northern Hemisphere and perhaps, if you've had a long winter, you're thinking about re-engaging in the outdoor life. 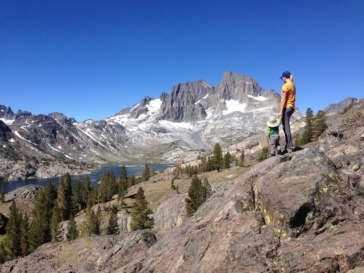 There's much to do in the great outdoors and every reason to take full advantage. While today there's a commercial magazine called Outdoor Life, almost a hundred years ago there was another called The Journal of the Outdoor Life, published by the National Tuberculosis Association. We found it to be quite an interesting general readership journal, promoting the idea that fresh air is good for tuberculosis patients. Of course, medicine has advanced enormously in the last hundred years and some of the ideas in the Journal definitely seem quaint. Interestingly, the Journal also had a "Games and Indoor Sports" section which contained some excellent checker material. 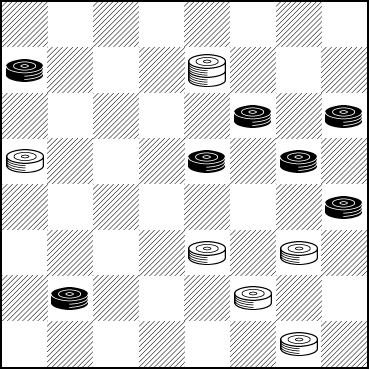 Featuring checkers was fairly common back in that day, but alas, that is no longer the case. In 1920 The Journal of the Outdoor Life published the following doozy. Unless you have a sharp pictorial memory, this is not one to solve on an outdoor hike or while sitting around the campfire. Do it at home, after your outdoor activities are over for the day or weekend. You'll definitely need to concentrate and employ your powers of visualization, although the problem is certainly no more difficult than the "medium" category. When you've finished, camp out on Read More to verify your solution. 13-9 5x14 23-19 16x23 27x9 20x27 7x16 12x19 32x16 Drawn.